While W.K. Hancock may no longer be described as 'Australia's most distinguished historian', he has some enduring claims to our attention. No other Australian historian - and few elsewhere - can match his 'span', to use one of his watchwords. Hancock was a major historian in four or five fields, who himself made history by going on a mission to Uganda for the British government in 1954 to mediate the future of Buganda after its ruler had been exiled. He was also, from a room in the Cabinet Office in Whitehall, the editor of a vast historical project: the writing of a series of accounts of British mobilisation on the home front during the Second World War. In addition, Hancock was a founder of the Australian National University, while his Australia (1930) remains one of the classic accounts of this country. 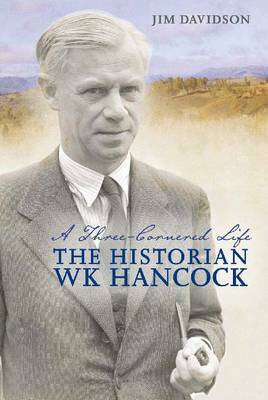 A Three-Cornered Life is a superbly written and thorough biography of one of the finest twentieth century historians.